1. 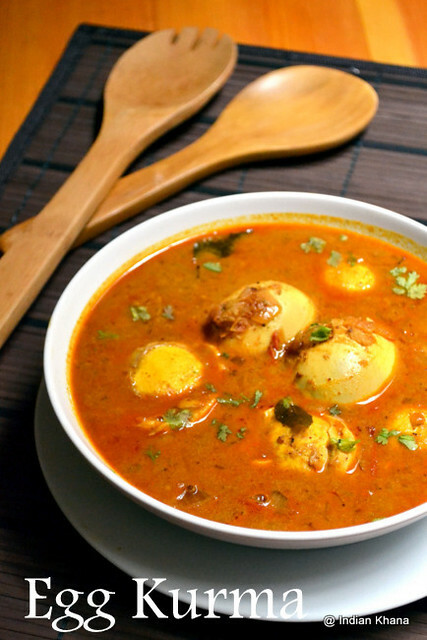 Boil or pressure cook eggs, remove shell and make small slits in egg with knife, keep aside. 2. Finely chop onion, tomato, green chilli, cilantro and keep aside. 3. Dry roast all the ingredients listed under 'To Roast & Grind' and grind to paste using little water if required. 4. In a pan or wok heat oil add cumin seeds and allow to splutter. Add onion, green chilli, curry leaves, ginger-garlic paste and saute until soft. 5. Add chilli, coriander and turmeric powder mix well. Add chopped tomatoes and cook until it gets mashed. 6. Add grounded paste, salt and saute until oil starts to separate around 8-10 minutes in medium flame. 7. Add boiled eggs and mix, now add 2 cups of water and bring it to a boil, simmer for 10 minutes or until gravy becomes thick with lid on. Garnish with cilantro and off flame. 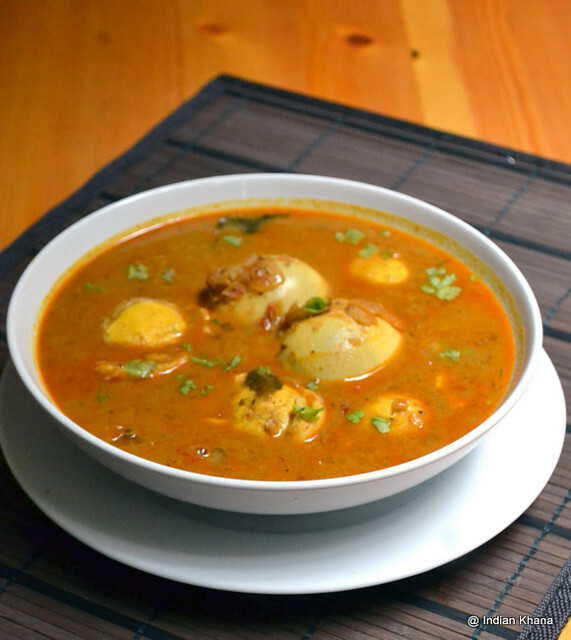 Serve warm with roti/paratha, rice and enjoy this delicious egg curry. 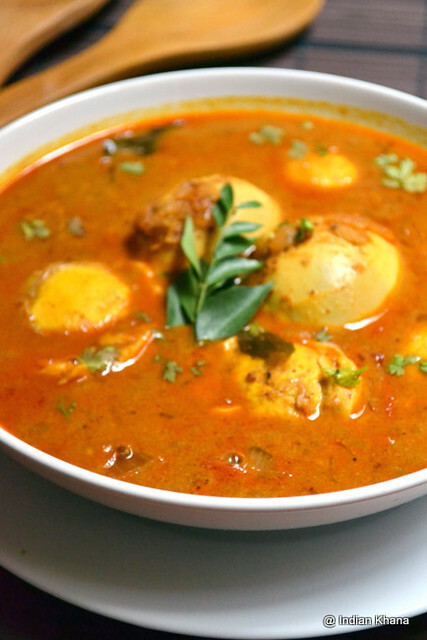 Egg kurma looks fabulous Priti. Truelly droolworthy and mouthwatering dish. Addition of poppy seeds is new. I prepare this in the same way except poppy seeds. looks yumm. Looks so tempting and flavorful. 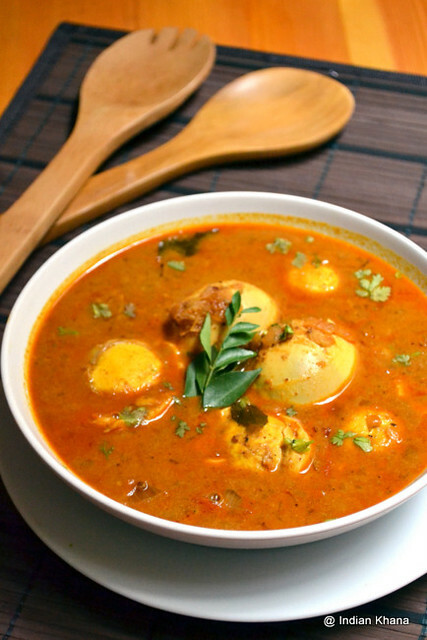 Delicious egg kurma love it. Nice presentation and photography. Love it.